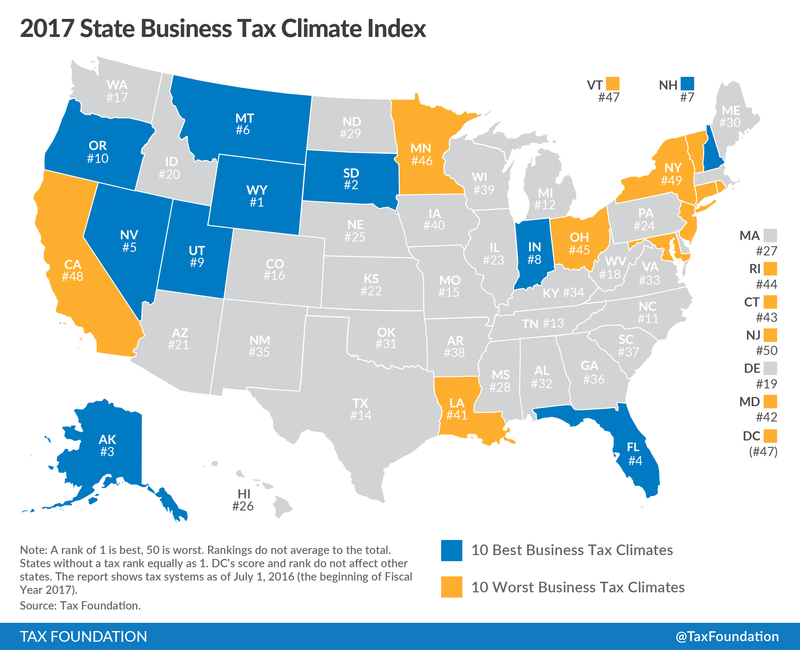 Today, we are very excited to release our annual State Business Tax Climate Index, now in its 13th edition. Our Index gives taxpayers, the media, and policymakers a barometer to judge state tax systems against the rest of the country, while providing a roadmap to reform their tax codes to a simpler, more neutral, more transparent system. While many will be interested in the top line overall rankings, the Index also allows you to deep-dive into each state’s individual income, corporate, sales, unemployment insurance, and property tax structures and see where your state does best, and where your state needs improvement. Arizona: Improved two ranks on its corporate component score and one rank overall as the state continues to phase in reductions to its corporate income tax rate (from 6.0 to 5.5 percent this year). Hawaii: Expiration of temporary tax increases resulted in elimination of the top three individual income tax brackets and lowered the top rate from 11.0 to 8.25 percent, improving the state from 37th to 31st in the individual income tax component, and from 30th to 26th overall. Indiana: Continued multi-year tax reform brings down the state’s corporate income tax from 6.5 to 6.25 percent. Paired with elimination of the state’s throwback rule, the state improves two places to 8th overall. Louisiana: An increase in state sales tax from 4 to 5 percent and new introductions of sales taxes on business inputs drop the state into the bottom ten this year, from 36th to 41st. Maine: The state added a third bracket to its individual income tax, but also lowered rates (from 6.5 and 7.95 percent to 5.8, 6.75, and 7.15 percent). The two changes offset each other in our scoring, but on net improve the state one place on the individual income tax component. New York: The state’s successful 2014 corporate tax reform continues to phase in. This year, it reduced its corporate income tax from 7.1 to 6.5 percent and cut its capital stock tax rate from 0.15 to 0.125 percent. 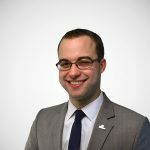 These changes improved the state’s corporate component rank from 11th to 7th, and widens the lead New York has over New Jersey in the overall score (N.Y. is 49th overall). North Carolina: The state continues to phase in reforms from its successful 2013 effort. The corporate income tax was further reduced to 4 percent, raising the state to 4th on its corporate tax component ranking. North Carolina now ranks 11th overall, an astonishing improvement from 41st just three years ago. Oklahoma: The first of two triggered tax cuts reduced the individual income tax rate from 5.25 to 5.0 percent, improving the state from 32nd to 31st overall. Pennsylvania: The state finally phased out its capital stock tax in 2016 (originally slated for repeal in 2014), resulting in improvement on the property tax component from 38th to 32nd, and the overall ranking from 28th to 24th. South Dakota: The sales tax increased from 4.0 to 4.5 percent, resulting in the sales tax component rank falling from 27th to 32nd. The state holds its position at 2nd overall. District of Columbia: The District’s 2014 tax package continues to phase in. The addition of a new individual income tax bracket with a $1 million kick-in caused D.C. to slip from 34th to 43rd on the individual income tax component of the Index, but we expect improvements in the District’s overall ranking as other rate cuts in the corporate income tax occur. Be sure to read the whole report here to learn more about your state. The State Business Tax Climate Index release is generally one of our busiest media days of the year. This morning already, The Wall Street Journal published an editorial on our findings, and my colleague Jared Walczak’s calendar is starting to fill up with television and radio appearances. If you enjoyed learning more from this report, consider signing up for our donation to support our mission of advancing sound tax policy.